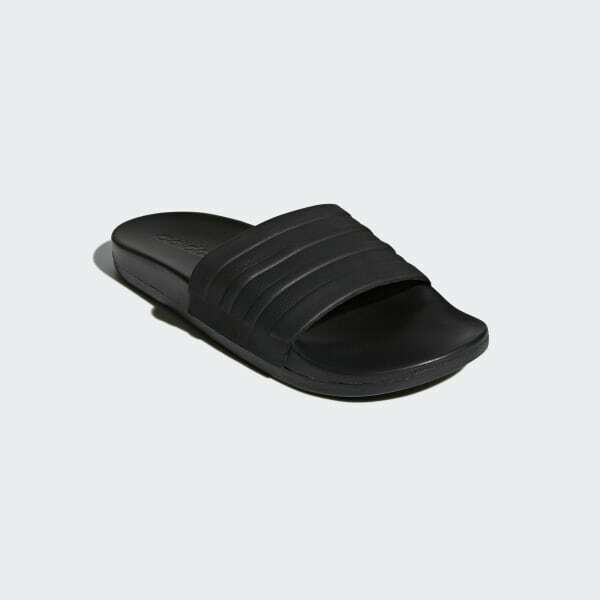 Classic slides with a soft, cushioned footbed. After the game, rest and rejuvenate tired feet in these women's slides. The slides have a bandage-style EVA upper and a contoured Cloudfoam Plus footbed that pampers your feet with pillow-soft cushioning. An EVA outsole offers lightweight comfort.